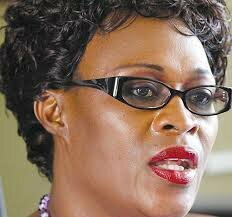 THE people’s voice will be loudest in the adoption process for aspiring Members of Parliament as well as councillors and the Patriotic Front central committee will be transparent as much as possible, says PF deputy secretary general Mumbi Phiri. Ms Phiri yesterday urged all aspiring MPs and councillors to relax as the process was still at the constituency level and has assured that it was the people’s voice that will be heard. She said that no unpopular candidate will be adopted on the PF ticket and no manipulation by any candidate will alter the result but that it was the people that would decide and that the PF secretariat will be transparent. Ms Phiri appealed for calm as the process had just begun and that the secretariat will be transparent to respect the people’s wishes, hence there was no need for panic among the aspiring MPs and councillors. “No unpopular candidate will be adopted; it is the people’s voice that will be the loudest. No manipulation by any unpopular candidate will change this. As the secretariat we would like to urge all the candidates to relax, the process has just begun; right now we are at constituency level and as the secretariat we will be transparent as much as possible,” she said. Ms Phiri has appealed to all aspiring candidates that even after the adoption process they should go back to the grassroots to work and popularise themselves. There have been concerns particularly from Nchelenge district that a named unpopular candidate would impose himself on the electorate despite not having the grassroots support and have since advised the party that this might disadvantage it. Seven candidates at constituency level were interviewed including the incumbent MP Raymond Mpundu, Simon Mwale, Anthony Malama, Alick Musamba, a Mr Mpundu, a Mr Toka and a Mr Chisha. This Friday it was expected that elections would move to the province. Nchelenge district PF councillor Kafimbwa Kasenge has called on the top leadership of the party to interact and engage the people on the ground because it was them that knew what was going on. Mr Kasenge claimed that the votes at the constituency level were ‘‘swapped’’ and charged that the constituency level was an important determinant of who could be finally adopted.